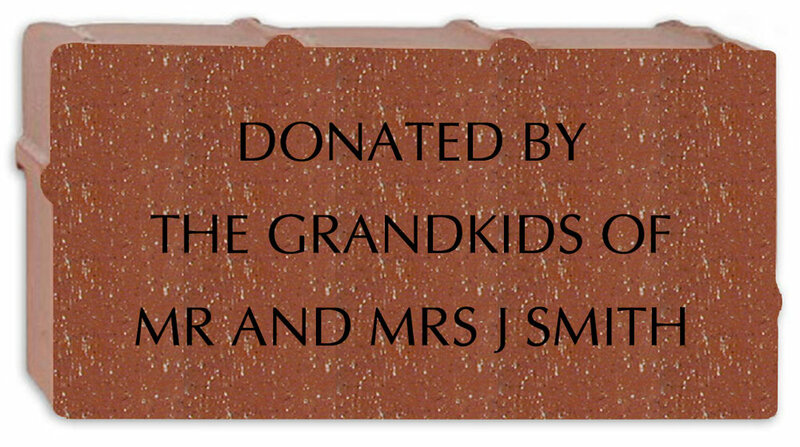 Purchase a Brick - Make a Lasting Impact! Your $150 donation toward the brick program helps neighbors in financial crisis achieve sustainability. 1720 S. Livernois is more than bricks and mortar. It is a safe place for mothers with children, for young adults struggling to get by, for families in financial crises and for all those seeking to better their life through our array of services. Our new home has turned our dreams of educational initiatives into reality. We now provide classes in financial literacy, computer skills, nutrition and positive parenting. These initiatives focus on the long-term self-sustainability of our neighbors in need, preparing them for new jobs and a successful future. Bricks will be installed in front of our main office building in Rochester Hills. Bricks are laser engraved and have a lifetime guarantee from the manufacturer. All bricks will be 4” x 8” bricks. Use the buttons below for credit card online brick purchases. *If you are purchasing more than one brick, please order them separately to avoid any confusion. To purchase a brick via cash or check, please download the paper order form below and mail it to us with your form of payment to 1720 S Livernois, Rochester Hills, MI 48307. Above is an example image of a Neighborhood House brick. Above is an example of a Neighborhood House brick with logo. This option is for staff, volunteers, and Board of Directors only.